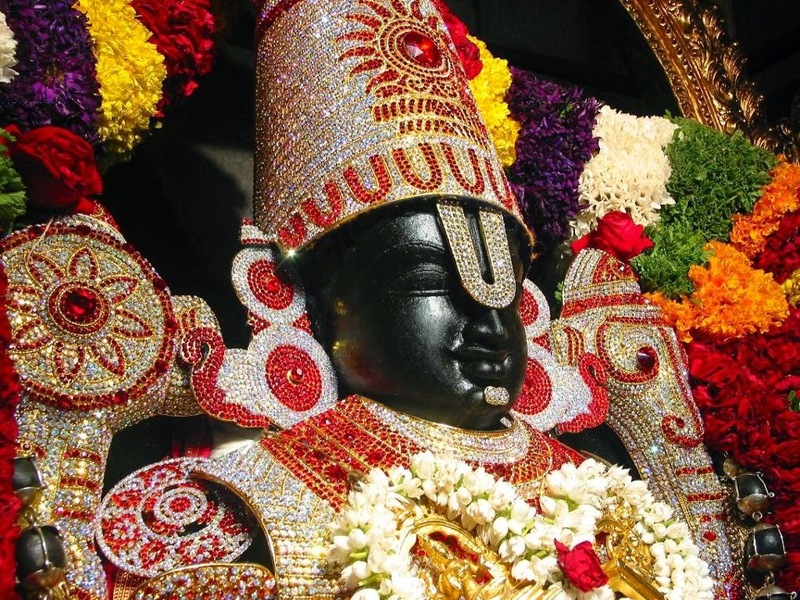 Mokshadha Ekadashi & Gita Jayanthi on 2nd December, 2014 !! Oh! Supreme Lord Guruvayurappa, After the Prakritha Pralaya/ complete deluge, Brahma Kalpa took place, eventually Lord Brahma came into existence. Lord Brahma received the knowledge of Veda from you, consequently initiated the function of creation like the previous kalpa. Oh! 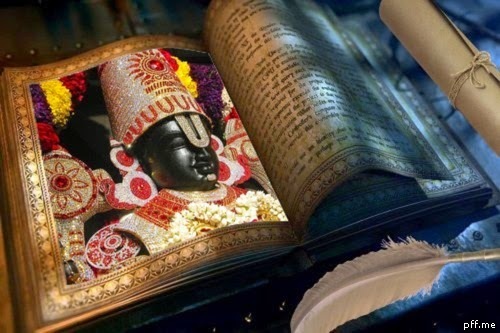 Supreme Lord Guruvayurappa, One thousand Chathuryugas makes a day for Lord Brahma, during that period of time Lord Brahma perform the function of creation, likewise one thousand Chathuryugas of night he immerse in Yoganidra called Naimithika Pralayam, at this time he merges in you with all his creations. Oh! Supreme Lord Guruvayurappa, with the grace of you Lord Brahma performs the creation at the beginning new Kalpa, like mortals begins their daily routines in the hours of morning. Those who were born in the previous Brahmakalpa and the eternal souls wake up from their sleep. Oh! Supreme Lord Guruvayurappa, Lord Brahma has completed one Parardha, Oh! Bhooman, I shall narrate about the sporting activities of you, which were taken place in the beginning of the next Parardha. Oh! Supreme Lord Guruvayurappa, at the final day of creation Lord Brahma who is desirous of Yoganidra, merges in your abdomen with the Universe and all his creations in subtle form. At that moment, the entire Universe turns into a vast ocean. Oh! Supreme Lord Guruvayurappa, when the entire Universe turns into a vast ocean, you remain absorbed in Yognidra on the King of serpent/Phaniraji shey, in a state of supreme bliss. Oh! Supreme Lord Guruvayurappa, At the beginning of Pralaya you have engulfed all the energies and Jivas in you and entered into Yoganidra with a command to Time to awaken you at the end of the deluge. Oh! Supreme Lord Guruvayurappa, Oh! Vishwanatha, in this way you have underwent thousand of Chathuryugas into Yoganidra, in due course of time, the Kalashakthi /Time awakened you from slumber. Oh! Supreme Lord Guruvayurappa, Oh! Jalagarbhashayin, while you were reclining in the vast ocean, the Time/Kalashakthi has awakened you and realized the entire Universe has merged in you; eventually the subtle forms attain a fleeting look of you. Oh! Supreme Lord Guruvayurappa, a divine lotus bud was instigated from your navel, which contains all those worlds merged in subtle forms in you. Oh! Supreme Lord Guruvayurappa, the divine lotus bud elevated from your navel rose up above the water spreading marvelous brilliance all around and removed the darkness instantly. Oh! Supreme Lord Guruvayurappa, In the fully blossomed lotus appeared Lord Brahma as the Vedas personified, which wa supported by your Yogic powers. Oh! Supreme Lord Guruvayurappa, Oh! Ananthabhooman, you have instigated Lord Brahma from Lotus flower in Padma Kalpa. Oh! Lord Vishno, Oh! Vathalayanatha, we earnestly pray to eradicate our ailments. Oh! Supreme Lord Guruvayurappa, Oh! Hiranyagharbha, who is manifested as fourteen worlds, desired to incarnate as Lord Brahma, in Sathyaloka known as the supreme Abode. Lord Brahma, described as Hiranyagarbha who is the collective soul of all the living beings in three worlds, due to the upsurge of excessive Rajoguna preferred to create various living beings. Oh! Supreme Lord Guruvayurappa, Oh! Jagathpathey, Lord Brahma who is desirous of performance of creation in this Universe, became anxious without the knowledge of Vishwavishyam/about the subject matter. Instantly, a mysterious voice instructed him do penance which was pleasing to the ears of Lord Brahma. Eventually, it prompted Lord Brahma to carry out the austerities. Oh! Supreme Lord Guruvayurappa, Lord Brahma was surprised and searched all directions for the origin of mysterious voice, could not see anything other than the whole world was engulfed in water. Consequently, Lord Brahma underwent severe austerities worshipping you for thousand years. 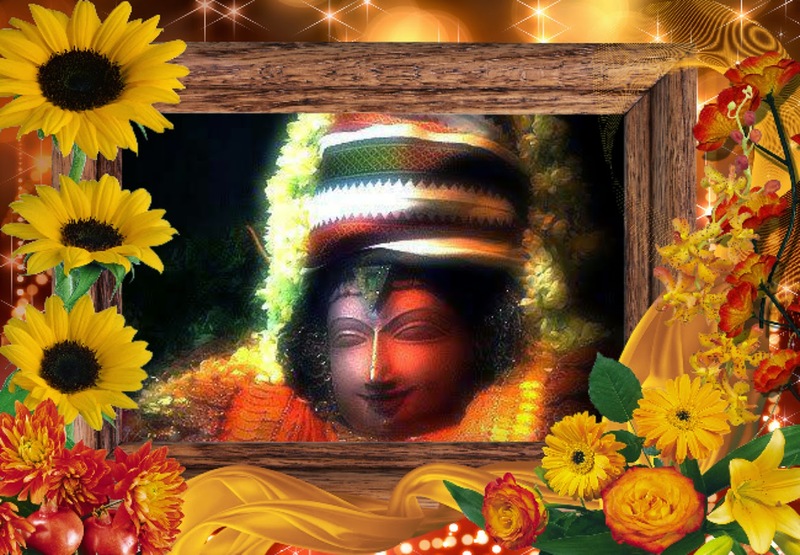 Ultimately, you have revealed him your mesmerizing form in the abode of Vaikundha. Oh! Supreme Lord Gurvayurappa, you have revealed the supreme abode of Vaikunda, which has no influence of illusion, located ahead of the fourteen worlds shining brilliantly, it has no impurities like sorrow/Shoka, anger/Krodha, desperation/Vimoha or fear etc, Oh! Vibho, your abode of Vaikundha is the reservoir of Supreme Bliss; you have revealed the flow of effulgence to Lord Brahma. Oh! Supreme Lord Guruvayurappa, Victory to your Abode of Vaikundha, where you shines radiantly without any impurities, the place where the divine beings/ divya: jana: who attained the highest of the pieties with their devotion, resides in their celestial vehicle with Chathurbuja/four arms, complexion of clouds, decked in various precious jewels and gems. Oh! 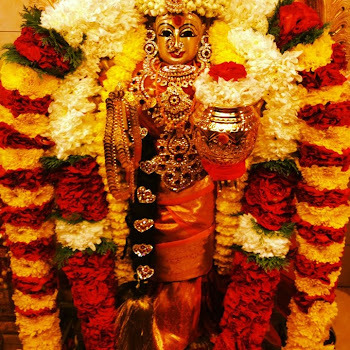 Supreme Lord Guruvayurappa, I earnestly pray to provide me a place in your divine abode Vaikundha, where your consort Goddess Sri Mahalakshmi resides, she is attended by various damsels. The entire universe is enchanted by the glorious form of her streak of lightning, spreading affluences in your abode, closely attached to the fragrances of your lotus feet. Oh! 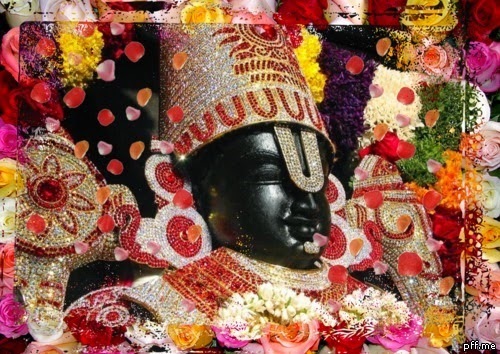 Supreme Lord Guruvayurappa, I earnestly pray to reveal your glorious form which was exposed to Lord Brahma, seated on the stunning gem studded throne, shines like innumerable Lord Aditya, decked in majestic crown, bracelets, various precious jewels, divine symbol of Srivastsa on the chest and lustrous Kousthubha gem studded garland. Oh! 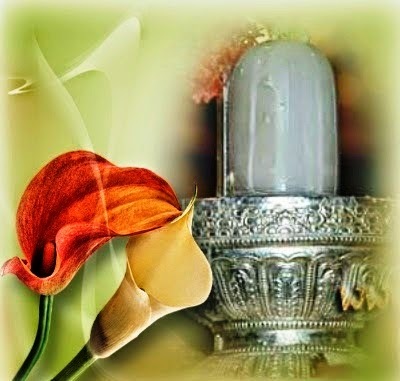 Supreme Lord Guruvayurappa, your magnificent form which has the resemblance of blue lily flowers surrounded by the circle of brilliant light, compassionate smile form your dazzling face, divine arms adorned with weapons of conch, discus, mace and lotus revealed to Lord Brahma was brought immense joy in him. Oh! Vibho, we earnestly pray to eradicate our ailments. Oh! Supreme Lord Guruvayurappa, Lord Bhrama/Kamalabhu: was in a state of ecstasy fallen at your lotus feet and prostrated before you with a sense of contentment and gratefulness, prayed to impart the knowledge for creation and to provide the knowledge about your unique form of dual/Dhvaitha and non-dual/Advaitha aspect. Oh! Vibho, I earnestly pray for the same. Oh! Supreme Lord Guruvayurappa, Lord Brahma prostrated before your crimson colored lotus feet, you have touched his hand and spoken that he would attain all that knowledge required for creation and will remain unblemished by the act of creation. 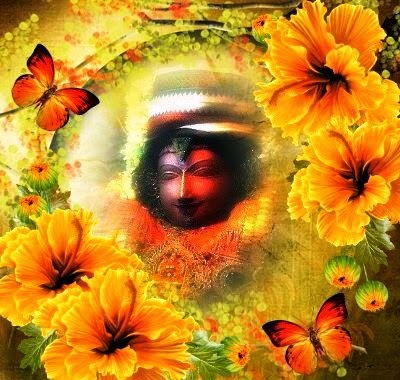 Lord Brahma was extremely happy; you have taken place in his heart and prompted him to create. Oh! Vibho, we earnestly pray to eradicate all our ailments at a fast pace. Oh! Supreme Lord Guruvayurappa, You have personified as marvelous Virat Swaroopa, Oh! Deva, your padhathalam/soles created Pathalam, upper portion of the feet created Rasathalam and the two anklets formed Mahathalam respectively. Oh! Supreme Lord Guruvayurappa, Oh! 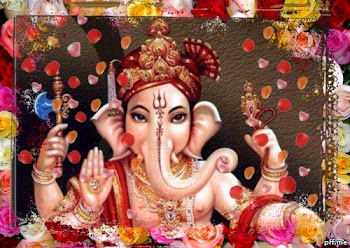 Chakrapane, your shins formed Thalathala, your knees formed Suthala, your thighs formed Vithala and Athala, your hip formed the Kshonithalam/Earth, your navel formed the sky/Ambaram, and your chest/Vaksha formed the Abode of Lord Indra. Oh! Supreme Lord Guruvayurappa, My salutation to supreme Lord who has created the entire Universe with his own body, your Greevah/neck has formed Maharloka, Your face/Mukham has formed Janaloka, and your forehead/phalam has formed Thapoloka, your head/Shira: has formed Sathyaloka respectively. Oh! Supreme Lord Guruvayurappa, Oh! Keshava, Oh! Vishwakandha, who is the source of the Universe, your Brahmarandhrapadham/crown of the head is the Chandhass/Veda, dark clouds are your beautiful hair locks/Keshapasha, your two eyebrows/chilliyugalam are the abode of Lord Brahma, your eyelashes/Pakshmani are the day/divas & night/Rathri, and your eyes/Nethram are Sun/Savitha. Oh! Supreme Lord Guruvayurappa, Oh! Bhagavan, the creation of the entire Universe has taken place due to your fleeting look which is capable to provide liberation. Your Karnam/ears represents various directions/Disha, Your nostrils/Nasika represents Ashwini Devathas, and your lower and upper lip represents ravenousness and humility respectively. Your teeth/Dhashana: represents Galaxy/Thara Gana and the molars are Lord Yama. Oh! Supreme Lord Guruvayurappa, your captivating smile/Hasitham is delusion/Maya, Your breathe/Shwasitham is breeze/Sameera:, Your tongue/Jihva is water/Jalam, Oh! Isha, your speech/Vachanam is chirping of birds, your voice/Swaragana is the tone of Siddhas, Your mouth /Mukharandhram is Lord Agni, Your arms/Bhuja are deities/Devas, Your bosom/Sthanayugam is the abode of Lord Dharmadeva. Oh! Supreme Lord Guruvayurappa, Oh! Deva, your back/Prushtam is Adharma/immorality in this universe, your mind/Mana: is Lord Chandra/Sudhamshu:, your lotus like heart/Hrudayambujam remains indistinct/Avyktham. Oh! Ambujaksha, your abdomen is the ocean; your glorious attires are the dawn and dusk, your reproductive organ/Shepha: is Prajapathi and the testicles/Asouvrushnou are Lord Mithra. Oh! Supreme Lord Guruvayurappa, Oh! Karunambudhey, your lower back/Shronisthalam is the world of animals/Mrugagana:, Your nails and feet/Nakha & Padha are the animals like elephant/Hasthi, camels/Ushta, Soumdhavam/horses, etc.. Your movements/Gamanam are the Time/Kala, Brahmins and other Varnas are formed from your face/Vadhanabjam, Bahu/arms, Charu Uru/thighs and Charanayugalam/Feet. Oh! Supreme Lord Guruvayurappa, Oh! Chakradhara, the wheel of Samsara/cycles of birth and death are your activity, your valor is the mass of demons, your bones are mountains, your blood vessels are various rivers, and trees are your hair, Oh! Isha, Victory to your indefinable form. Oh! Supreme Lord Guruvayurappa, every human being should remember your Virat Swaroopa/Cosmic form which is the personification of Shuddha Sathva, at the end of Karma. Oh! Vathalayadhipa, My salutation to you and we earnestly pray to eradicate all our ailments. 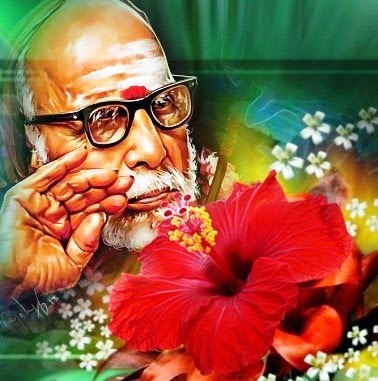 Prushtam Thavadharma Iha Deva ! Mana: Sudhamshu: Avyakthameva Hrudhayambuja Ambujaksha! Oh! Supreme Lord Guruvayurappa, before the Prakritha Pralaya there was nothing existed in this Universe, the three Gunas of Maya was neutralized in you. There was neither death nor liberation, there was neither day nor night was in existence, only you were remained as Absolute Supreme bliss. Oh! Supreme Lord Guruvayurappa, Oh! Vibho, Time/Kala, Karma, three Gunas, Universe, and the Jivas born out of illusion were merged were absorbed by you and remained nature of pure bliss. Therefore, Shruthi does not oppose them as non-existent; they remained as casual entities otherwise how it would be possible to apparent again? Oh! Supreme Lord Guruvayurappa, in this way, two parardhas was ended. You have cast the will to create the three worlds; eventually maya/delusion was activated along with the Time, Jiva, and Karma came into existence. Oh! Supreme Lord Guruvayurappa, You are unblemished by the illusion, although you have the same defused in you, the scriptures pronounce that you as a mere spectator. The diverse appearances of illusion are the reflection of Jiva, in which you represent as individual soul which is not different from you. The delusion prompted by you and time, schemed the principle of intelligence/Buddhi Thathva known as Mahath. Oh! Suprme Lord Guruvayurappa, Oh! Vishno, Mahath Thathva is made up of three gunas predominates by Satvic qualities, the sense of ‘Aham’/ I causes individual awareness in the Jiva, in fact the Mahath Thathva consists of three Gunas in equal proportion as prompted by you. Oh! Supreme Lord Guruvayurappa, ‘ Aham’ Thathva is again categorized into three Gunas called ‘Vaikarika’, Rajas & Tamas. The satvic qualities like Gnanendhriyas are provided by the deities, such as Dhisha/Dik/directions, Vatha/Lord Vayu, Arkka/Lord Surya, Pashi/ Lord Varuna, Ashwina/Ashwini Devathas, Vahni/ Lord Agni, Lord Indra, Lord Achyutha, Mithrakan/Lord Mithra, Vidhu/Lord Chanra, Vidhi/Lord Brahma, Sri Rudra/Lord Rudra, Sharirakan/Kshethranjya respectively. Oh! Supreme Lord Guruvayurappa, Oh! Vibho, at your will the satvic aspect of Manas/mind, Buddhi/intellect, Ahamkruthi/Ego and Chith/Memory was born, the ten Indhriyas/Dhashagana Indhriyas are born from the Rajasic aspect and ultimately the space and sound was born out of Tamasic aspect. Oh! Supreme Lord Guruvayurappa, Oh! Madhava, You have created Sparsha/touch, Marutham/air, Roopam/form, Maha:/fire, Rasam/taste, Thoyam/Water, Gandham/Smell and Mahi/Earth, from Vyoma/ Space and Shabdha/Sound of the Tamasic aspect. Oh! Supreme Lord Guruvayurappa, all the above said elements of Boothagana and Indhriya Ganas came into existence represented by the presiding deities were not capable to create Brahmanda/Bhuvana Andam, therefore they eulogized your glories through various sacred hymns. You have penetrated through them to activate and created a Hiranyam Andam/Golden Egg. Oh! Supreme Lord Guruvayurappa, This Hiranya Andam/Golden Egg is already existed in cosmic water for thousands of years. Subsequently, it has broken and created Chathurdasha Jagath/14 worlds known as ‘Virat Swaroopa’. 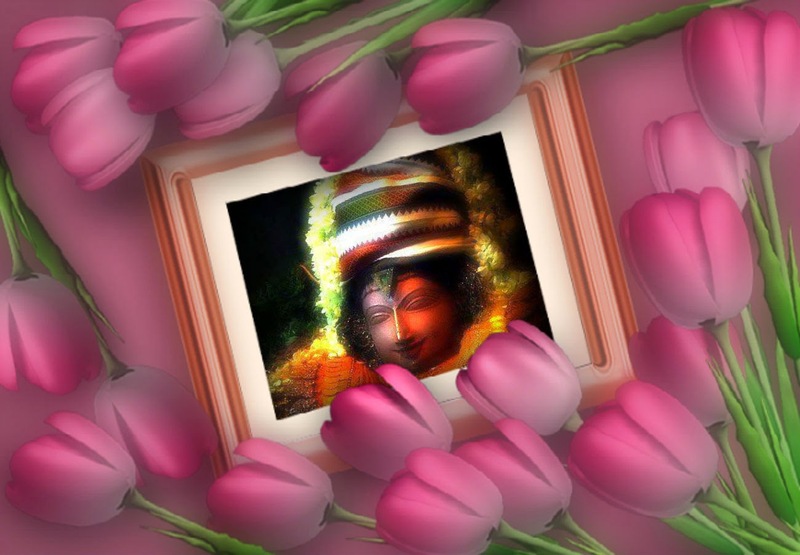 Your cosmic form /Virat Swaroopa have mesmerizing form of thousands of hands, feet, head etc….. Oh! Maruthpuradhipa, who is personified in cosmic form, I earnestly pray to protect us from all ailments. Kala: Karma Gunascha Jeevanivaha: Vishwam Cha Karyam Vibho !